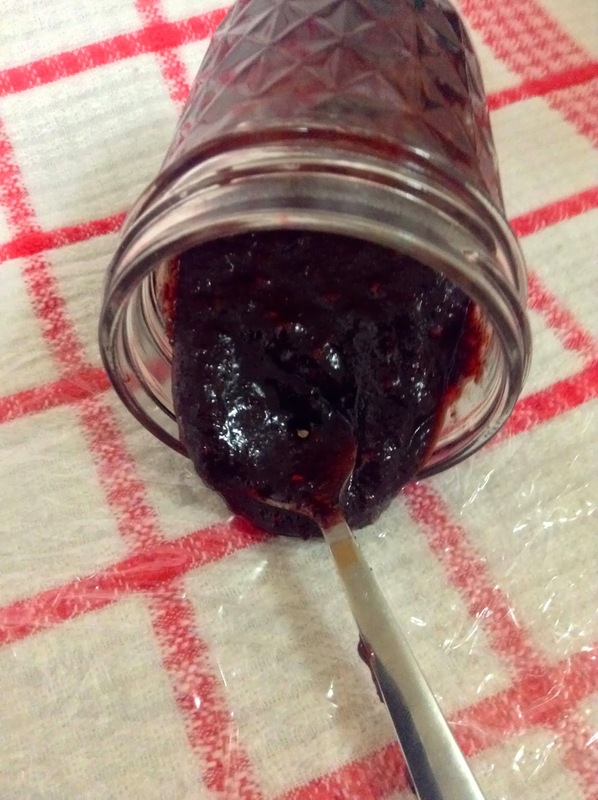 This post could also be accurately titled: Or the time I ate jam with a spoon. Seriously this jam is THAT good. I kid you not. We went to a farm this weekend with hopes of picking our own raspberries unfortunately they weren't open for U-Pick that day so I had to settle with bringing home a couple of cartons of fresh raspberries. Last time I bought a carton of fresh raspberries they didn't make it through the front door I ate them all on the walk home. It was totally worth it. They were amazing. I have fond memories of picking raspberries of the bushes out behind my grandparents house when I was younger. I loved being able to eat the raspberries directly off the bush. Grocery store raspberries have never quite been able to live up to the standards of those freshly picked berries. 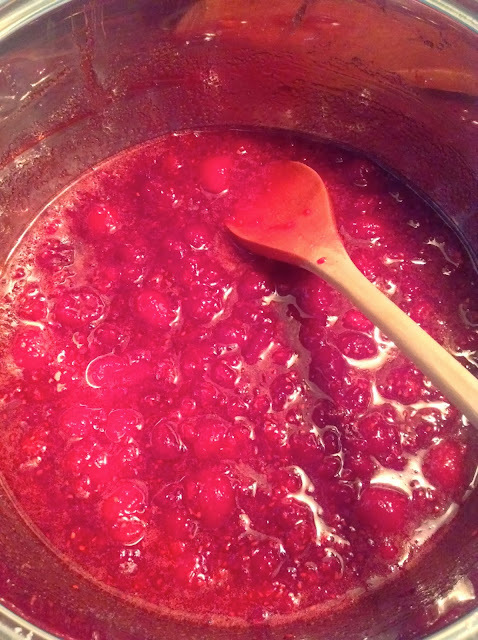 I was able to get the raspberries through the door this time and straight into a pot with some sugar to make the most delicious jam ever. I was a little bit nervous about actually making jam. I have never made it before in the past and I wasn't sure how it would turn out. I followed this recipe from Love and Olive Oil. It was super simple and really easy to follow. I kind of cheated and didn't actually "can" my jars since I only made four and am planning on giving some to friends and family this week to be used right away so since I didn't have a canning system I felt like keeping them in the fridge was a better option. I am almost half way done one of the jars anyways so I don't really see spoilage as an issue. I have been eating this pretty much non stop since and I then decided that I needed scones to go with the jam and proceeded to whip up a batch (what is my life). Hope you enjoy this fantastic jam!